D’Erika Varnderhorst scored 27 points on Friday night and led Ludington to a lopsided 62-33 girls basketball victory over Tri-County. Orchard View used the 1-2 punch of Diamond McGee and Jayshonna Blackshire to top visiting Grant 54-33 in its Lakes 8 opener. Kalisa Williams scored a game-high 17 points on Friday night and led the Reeths-Puffer Rockets to a 35-17 victory over the Fruitport Trojans. 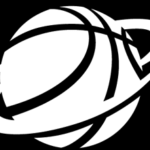 FRUITPORT – Brad Richards had his Fruitport Calvary Christian girls basketball team ready to play on Friday night. The Muskegon Lumberjacks announced on Friday that Matt Mendelson will rejoin the team in time for Saturday night’s game against Team USA. 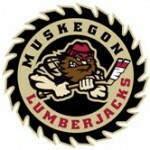 The Muskegon Lumberjacks have a number of promotions and community-related events taking place in December. The Muskegon Big Reds turned a six-point deficit after three quarters into a two-point victory on Thursday night. Muskegon Lumberjack defenseman Patrick Koudys announced he will play college hockey for Penn State University. 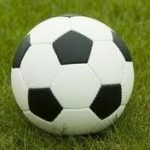 It was a memorable season of boys soccer at Mona Shores High School. Jeremy Tjapkes had plenty of ups and downs this past soccer season with the boys team from North Muskegon High School. Three area volleyball players, including two from Whitehall High School, were named first-team all-staters by the Michigan Interscholastic Volleyball Coaches Association.